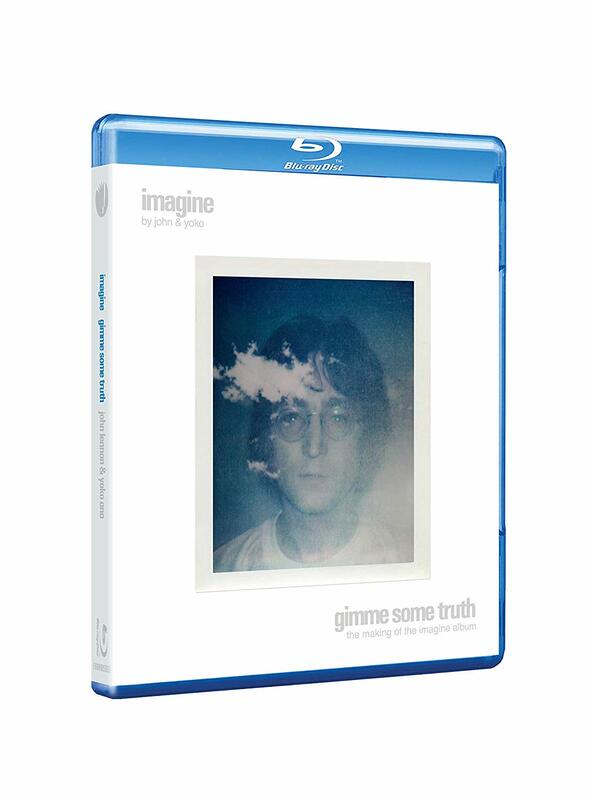 Available now to pre-order from Amazon are Blu-ray and region free DVD editions of "Imagine The Film" and "Gimme Some Truth - The Making of Imagine". They have both been out before, "Imagine The Film" only on video cassettes and laser discs, "Gimme Some Truth" also on DVD. 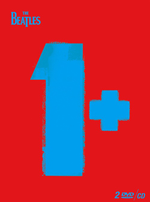 "Eagle Rock are delighted to announce the release of two films by John and Yoko, Imagine and Gimme Some Truth. Both films, which focus on the Imagine era, have been hand restored frame-by-frame from the original film reels into HD, and their soundtracks have been remixed in glorious 5.1 surround sound, and remastered. Includes exclusive, never-before-seen bonus content on DVD and blu-ray. This is the first time both films have been commercially available at the same time." 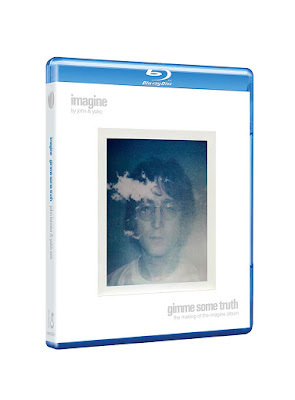 Also on October 5, Geffen/UMe will release “John Lennon: Imagine: The Ultimate Box Set,” just ahead of what would have been Lennon’s 78th birthday on October 9. The remixed and remastered six-disc/140-track collection is fully authorized by Yoko Ono Lennon who oversaw the production and creative direction. Spread across four CDs and two Blu-ray discs, this expanded edition of what many feel is the former Beatle’s best solo album includes new “Ultimate Mixes” of the iconic album — which, according to the announcement, reveal “whole new levels of sonic depth, definition and clarity to these timeless songs” — as well as unadorned Raw Studio Mixes, 5.1 surround sound mixes, and for the first time in nearly 50 years, a “Quadrasonic Album Mix,” presenting the original four-speaker “quadrophonic” mix in a format that was briefly popular with audiophiles in the 1970s. The set also includes rare outtakes, isolated track elements and “The Evolution Documentary,” a track-by-track audio montage that details the journey of each song from demo to master recording via instructions, rehearsals, recordings, multitrack exploration and studio chatter. Both ob the one Bluray? 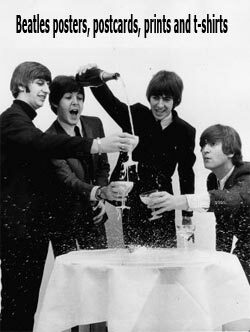 Thank you, Yoko. That's a poke in the eye for the naysayers for once. Yes, Yoko might have added her name to the description but yes, it's her film too. I'm looking forward to that audio track list! Alas, the links travel to Amazon's Page Not Found. My experience as well. 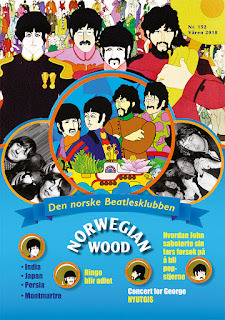 I can't find this DVD on Amazon US nor does the link work. What's the story? Cannot wait. 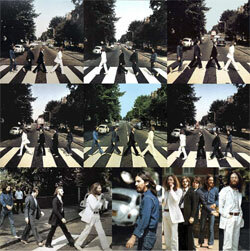 I wish the folks at Apple would let these people handle the remaining 50th anniversaries of the Beatles albums. There is nothing wrong with giving fans more than they asked for or dreamt for. I will be happy to buy this and retire my VHS tape. But I can't order what I cannot locate on Amazon anywhere. Not only the USA, but the UK and Canada, I draw blanks. And those links do not work. Sorry about those missing links, the pages were there when I wrote this piece, but they must have jumped the gun. Hurrah, the links work now! Pre-ordered! Imagine - so what's new?